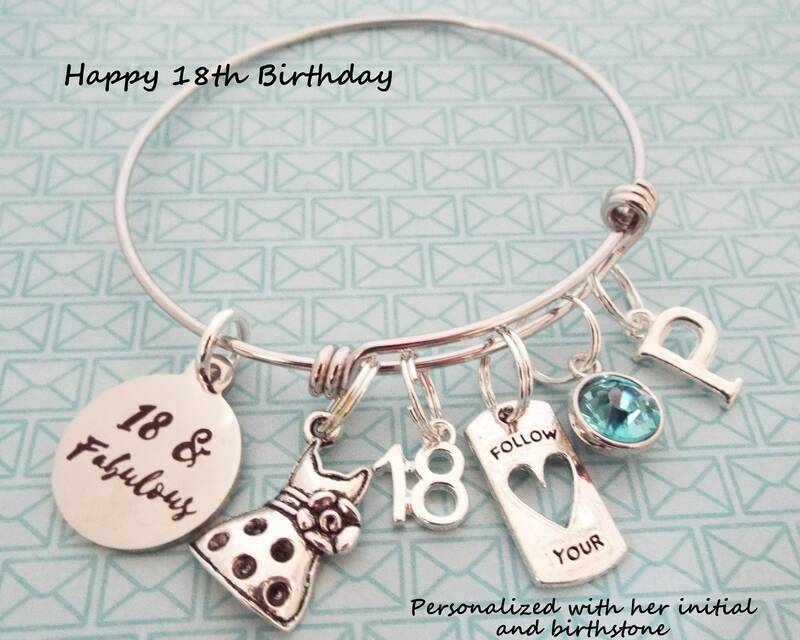 This 18th birthday girl charm bracelet is an original Hope is Hip Jewelry design. 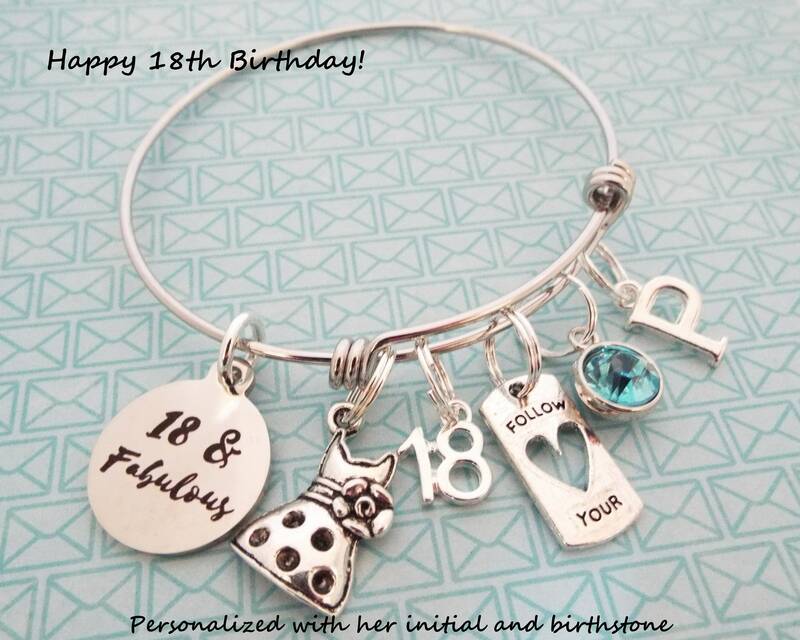 All of our custom pieces, including this gift for a girl's 18th birthday, are creations that are original to our shop. Our personalized gifts are not machine-made, reasonable variations are to be expected and contribute to the uniqueness and hand finished quality of each piece. We use only "double" jump rings to attach our charms. That ensures you will never lose them with normal use. If you wish to customize in any other way than which we've shown ( different age, etc. ), please CONVO us. 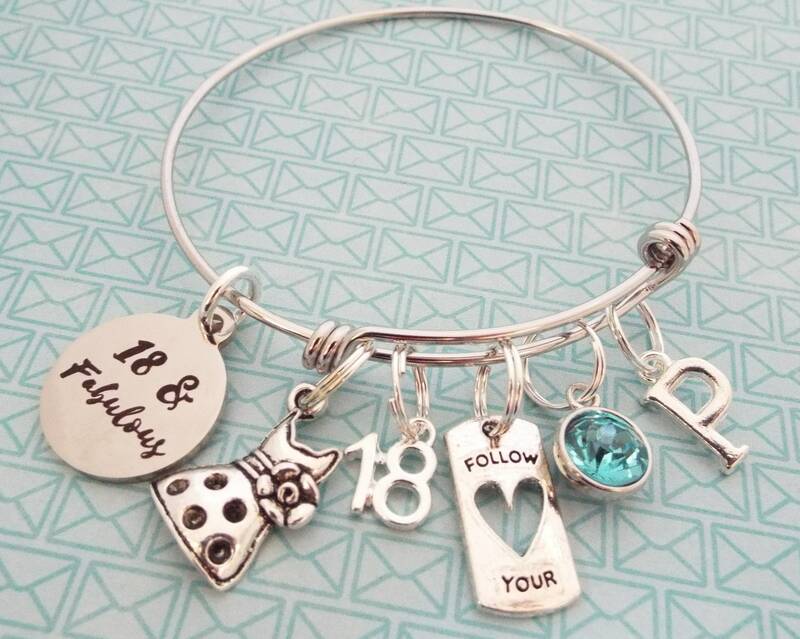 We'll do our best to customize your bracelet in any way we can.